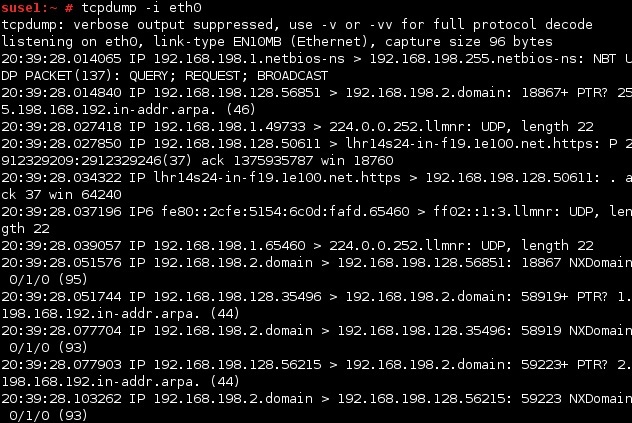 TCPDUMP is also called as packet analyzer. 1. 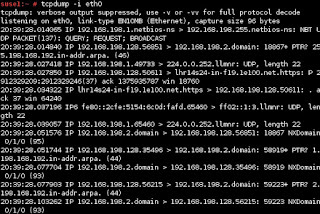 How to Capture packets from a particular ethernet interface using tcpdump -i? 2. How to Capture only N number of packets using tcpdump -c? 0x0000: 0050 569c 35a3 0019 bb1c 0c00 0800 4500 .PV.5.........E.
0x0020: 69c4 f999 0016 57db 6e08 c712 ea2e 5010 i.....W.n.....P.
0x0000: 0050 569c 35a3 0000 0000 0000 0800 4600 .PV.5.........F.
July 09, 2015 1 Please Share a Your Opinion.